4 Best MS Office Alternative for Windows, Linux & Mac in 2017. Home Best or Top 4 Best MS Office Alternative for Windows, Linux & Mac in 2017. Office suits are the most important programs that everyone needs to make their work more productive. But for that everyone knows Microsoft is the leading face in this sector. They demand a lot of bucks for their office suite programs, it’s like around Seventy dollars a year. But why we need this, when we had other free MS Office Alternative in the market. So, today we will suggest you some MS Office Alternative which makes you even more productive, there is no need to worry about their expiration anymore. It is an open source program. 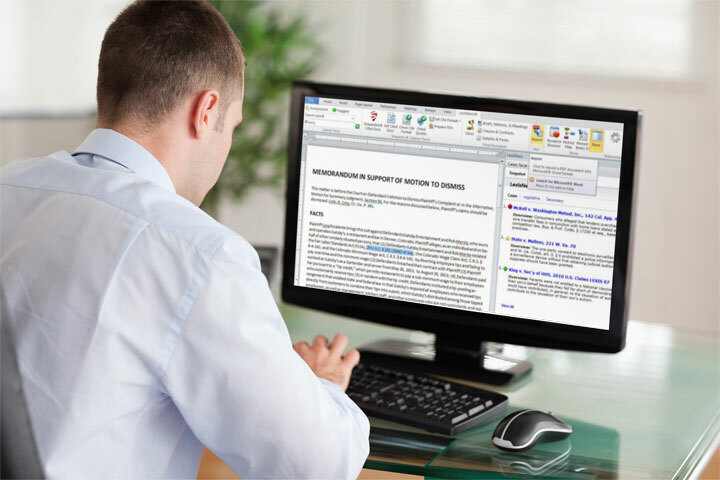 It is developed from the source code of openoffice.org and uses open document format as its default file format. But, don’t worry it supports all the Microsoft formats. It contains some of its own default formats which are quite different from the Microsoft formats. The names of the word processor are Writer and for spreadsheets it’s Calc and Impress to create presentations, Draw which is a vector graphics editor, Maths which can be used for creating and editing Mathematics formulas and Base which can be used to create and modify the database. It has there two versions that is Fresh which is the latest version but the problem with this stability of this version and the other version is Still, which is stable with most operating systems. It is available for Windows, Mac, Linux and Android. It has their own file formats like .odt text documents, .ods for spreadsheets and .odp for presentations. It supports all the open document formats and Microsoft formats. This is the first among in MS Office Alternative. Download link. Available for windows, Mac, Linux, and Android. It requires too space and a bit slow because of JAVA. Google has its own programs for editing text documents, slides and presentations in the cloud via your web browser and the name of it was Google docs. They also provide free online storage and synchronization directly from Cloud. You can also enable public and shared access to your documents and share with other peoples directly from Google docs. The document editor is called Docs and you can make spreadsheets with Sheets and slideshow presentation with Slide. Google provides only 15 Gigabytes of storage including all the google services that you are using like Google Plus, Gmail, Google photos, Google Drive & Google docs. They had their own native formats like .gdocs for Text documents, .gsheets for spreadsheets and .gslides for the presentations. It also supports open document formats and all the Microsoft formats which you can upload directly to the Google Drive and convert them into native formats. 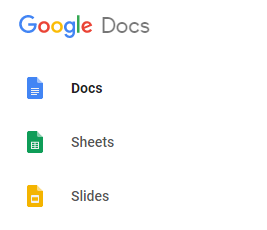 The most helpful feature of the Google docs that they had their own templates for text documents, spreadsheets, and presentations which help you to work on the important stuff quickly without having to figure out the template that looks nice. You can use all the services of Google Docs online as well as offline but for offline access, you should have the Google Drive client and for windows and Mac and the Google Chrome browser installed and turn on offline mode on the Google Drive website. They also had their own extensions for the Google Chrome browser and apps available for Android and IOS devices. This is for online MS Office Alternative. Can use from anywhere with the help of Internet connection. Free Online Storage & synchronization. Require Google ID for the use. This program is developed by SoftMaker which is the German software company which is in the market since 1987. You can create all your text documents with the Text Maker, spreadsheets with the Plan Maker and slideshow presentation with the SoftMaker presentations. Also read: 7 Best Video Player for Windows for better watching experience (2017). It has also own default formats for its various documents like .tmd for text documents, .pmd for spreadsheets and .prd for presentations. But it also supports all Microsoft formats and open document formats too. The layout for this program is very similar to MS Office for those who use MS Office before this would be easy to make documents in it. This program is supported for all Windows, Linux, and Android but the problem with this installation of this program is you need to give your email so that they can send you the product key of the program. Download link. UI is same as MS Office. Supports all MS Office formats. Email requirement for product key. This is the unusual and different program of our list because it was very different and has a unique thing about this program which is it is the only program which supports widescreen monitors because it has high-definition optimized Office Suite. Also read: My computer is slow. 6 Things to do to make it smoother. The UI of this program is user-friendly and it supports all the document formats and exports them in JPG, BMP, PNG, PDF, GIF and it has its own presentation format which is SSP. It is available for Windows, Linux, Mac and Android. The name of its word processor is SSuite WordGraph Editor and for spreadsheets, it’s SSuit Accel Spreadsheets. Some of its special features of it has custom auto film lists, supports multi displays comma tabbed document interfaces, custom text and phrases list create Word art and Math Equations / Expressions in word graph, create presentations in word graph which can be viewable in any web browser and EZPhoto album viewer and you can create custom templates and add them to the template library. Download link. You can install specific programs instead of whole. It has Portable Version also. UI is not that User-Friendly. Setup of Email Client is hard. Doesn’t has automatic Spell Check. These all are the best four among all the MS Office Alternative accessible on the internet. I personally use Free office 2016 as ms office alternative. it depends on you which suits you best? You can try best among them if you face any kind of difficulty in the installation you can ask us in the comment section down below. Previous article6 Best free HTML Editor on Windows, Linux & Mac in 2017. Next article6 Best VPN app for Android for secure browsing in 2017.